Until this month, only buprenorphine in the sublingual form was FDA approved for the treatment of opioid addiction. This includes commonly known brands like Suboxone and Zubsolv, and generic buprenorphine both with and without naloxone added. But earlier this month, the FDA approved Bunavail (B-YOU-na- vail), a buprenorphine product that is absorbed through the mucosa of the cheek. This method of delivery is termed “buccal.” The company making Bunavail says the product has an adhesive, which they call “BioErodible MucoAdhesive,” that improves absorption through the cheek mucosa. This product has twice the bioavailability of Suboxone film, and that’s the selling point for this new product. Bioavailability is the percent of the drug that is absorbed into the bloodstream out of the total amount of the drug that is administered. If a drug is injected, by definition it has 100% bioavailability. Other routes of administration have less than 100% bioavailability because not all of the drug is absorbed orally, or due to the first-pass metabolism seen with some drugs like buprenorphine. 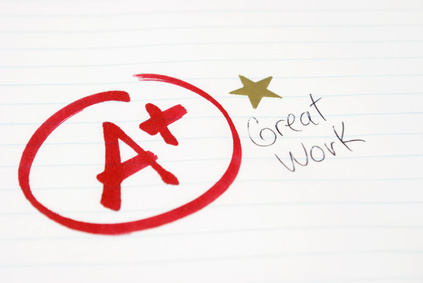 When using a route of administration with lower bioavailability, more of the drug must be given to achieve the same blood level as when the drug is injected. Buprenorphine has poor gastrointestinal availability. If a drug company made an oral tablet to be swallowed, less than 10% of the drug would be absorbed into the bloodstream. Sublingually (under the tongue), bioavailability of buprenorphine is said to be anywhere from 30 to 50%, and can be influenced by things like the pH of oral secretions (an acid environment interferes with absorption, which is why we tell patients not to drink any soft drinks, coffee, or tea for fifteen minutes prior to dosing). So what does Bunavail’s higher bioavailability mean on a practical level? Bunavail’s films contain less buprenorphine than Suboxone, but deliver the same blood level. And if the blood level’s the same, the effect of the drug is the same. In other words, individual patients should feel the same. Other than that, I can think of a few potential advantages. With higher bioavailability, fewer grams of buprenorphine would be prescribed, and fewer grams of buprenorphine that could make it to the black market. Since less of the drug is needed per unit dose, perhaps the price will be lower. I have no information about the costs of this new product…but I’m going to make a wild prediction that Bunavail won’t be significantly cheaper than Suboxone. Zubsolv has higher bioavailability but I don’t think it’s significantly cheaper than its competitors. The makers of Bunavail are making a big deal about the inconvenience of sublingual forms of buprenorphine compared to their new product, which sticks to the side of the cheek. In an interview on Bloomberg News, one of their scientists said patients taking Bunavail can talk and swallow while their medication is dissolving, something that can’t be done with their sublingual competitors. OK, maybe that’s an advantage…but what are we talking about, five or ten minutes at most? I don’t know if patients will think that’s a big selling point, but time will tell. The insert also says not to tear or cut the film. Manufacturers of Suboxone say the same thing about their film, though cutting those films is fairly standard practice. I think that since the drug company hasn’t done any testing of their products when cut or torn, they can’t say for sure that it’s OK. The company behind Bunavail, BioDelivery Sciences International Inc. (BDSI) has several other unique products. For example, they already market Onsolis, which is fentanyl also in a buccal (absorbed through the cheek) film. They’re also in phase 3 trials now with another buprenorphine product that uses the special mucoadhesive they developed, but it will be marketed for moderate to severe chronic pain. No information is available yet regarding the doses contained in this product. Bunavail is expected to be marketed to doctors the last quarter of this year. Since I started this blog, some of my readers have educated me about how frequently addicts use Suboxone and Subutex intravenously. I think some of these addicts have become blasé about the reality of complications that can occur from injecting a medication that’s not meant to be injected. Like oral opioids, Suboxone and Subutex tablets and films aren’t sterile. Bacteria live everywhere, including inside an on oral medication. Since the medication is meant to be taken by mouth, these bacteria don’t harm the user when swallowed or used sublingually as intended. But when injected, these bacteria have the potential to cause catastrophic illness, depending on the nature of the bacteria. Most commonly, we see cellulitis, a soft tissue infection, around the site of the injection. Sometimes the infection walls off and forms an abscess that usually must be drained. The infection can spread to the walls of the vein, causing angiitis. These infections can spread to the rest of the body, and can lodge in special areas that cause big problems. For example, endocarditis, an infection of one of the heart valves, occurs more commonly in IV drug users. It’s difficult to treat endocarditis, and requires lengthy antibiotic treatments. Sometimes this infection can destroy the heart valve and the patient may require surgical replacement of the valve. People can die from this serious infection. Some of Singapore’s large population of intravenous heroin users switched to buprenorphine when it became available, but with that availability came an increase in complications from addicts who injected buprenorphine rather than use it as intended. Bacteria aren’t the only unwelcome travelers hitching a ride on a buprenorphine tablet. Fungal endophthalmitis is rare in people who have not had eye surgery, yet it is seen in intravenous addicts in general, and now specifically in addicts injecting sublingual tablets. At least four cases of endophthalmitis in intravenous users of buprenorphine tablets occurred within a year at one Australian hospital. These serious inner eye infections developed due to a type of Candida fungus usually found in the mouth. One of the patients admitted injecting a tablet that had been in her friend’s mouth for a short time, prior to diversion of the tablet to the patient. The oral candida species likely contaminated the buprenorphine tablet through this method. It is possible we will see more cases of fungal infections in patients who inject buprenorphine that has partially dissolved in another person’s mouth, due to the oral contamination of the pill. Tablets meant to be taken by mouth or sublingually (under the tongue) often contain talc as a filler. Heroin is sometimes cut with talc, to make more product to sell on the street. When these substances are injected, they can cause talc granulomatosis. Many addicts don’t get regular check-ups and most are reluctant to tell doctors about their IV drug use, even during serious medical problems. This condition is likely under-recognized because on the chest X-ray, talc granulomatosis looks like other interstitial lung diseases. The talc crystals lodge in the lungs, and cause an immunologic response. This in turn causes trouble breathing, dry cough, and low oxygen levels. Respiratory failure and death can occur in the worst cases, since there are no definite effective treatments. In some studies, patients with talc granulomatosis have improved when given corticosteroids, but tend to get worse again as soon as the medication is stopped. Tablets meant to be used under the tongue aren’t sterile and aren’t suitable to be injected. 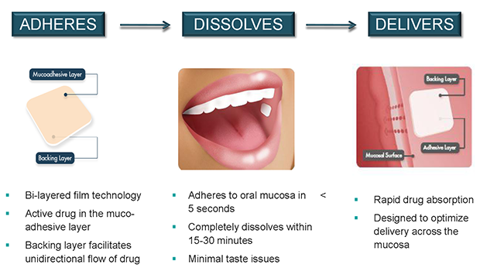 Tablets diverted from patients who partially dissolve them in their mouths may be particularly hazardous due to contamination with mouth bacteria. Addicts who inject tablets meant for orally use risk catastrophic health problems beyond overdose. If you are an intravenous drug user, don’t fool yourself into thinking you’re safe because you use new needles and “works” each time. New needles do reduce the risk of contracting hepatitis and HIV, but oral pills still contain substances that were never meant to be injected. Chong et.al., “Infective Endocarditis due to intravenous Subutex abuse,” Singapore Medical Journal, 2009 Jan;50(1):34-42. Alboltins et. al., letter to the editor, Medical Journal of Australia, April 18, 2005, Vol 182(8) p.427. When my Suboxone patients are ready to taper off the medication, I prefer to use the film. Since the film is no longer crumbling, patients can take sharp scissors or a knife and cut the films into smaller pieces roughly equal in size, ideal for a taper. Yes, I know the manufacturer says we shouldn’t cut the film or the tabs, because they have not done studies to see if the medication is equally distributed throughout the entire film or tablet. But cutting is a great way to taper, it seems to work, and everybody’s been doing it since Suboxone came out in 2003. Most of my patients who successfully tapered off were on Suboxone at least two years, and did the work of counseling before attempting a taper. Most recent studies show high relapse rates if tapered too soon, probably because it takes time to get the essential counseling and make life changes that support a new life without drugs. How long should the ideal taper take? It depends on the patient’s tolerance of opioid withdrawal symptoms. I’ve been telling patients four to six months is an average taper. I’ve been decreasing the dose by 2 mg every 2 weeks, until the patient is at 8mg or less. Most patients tolerate that fairly well, though patients differ markedly in their tolerance of withdrawal. At any time in the taper, if the patient starts feeling more withdrawal than they can tolerate, we can go back up a little, or plateau at a dose for a month or so. Below 8mg, I reduce the dose more slowly, since each milligram is a bigger percent of the whole dose. I’ve been trying to decrease patients by 2mg every 4 weeks. This way when I see them every month, we talk about how they’re feeling, and if they’ve had a relapse (With any relapse to opioids, we go back up on the dose and work more on relapse prevention). For an 8mg film, this can be accomplished easily, by cutting the film into fourths. That’s a 25% drop in a month, or around 6.25% drop per week, at least at first. It’s common to have to stay on 4 or 2 mg for longer than a month. Once the patient is down to 2mg, I switch to the 2mg film, and again have the patient divide it into fourths. I still try to drop by one-quarter of the film per month, meaning a half of a milligram decrease each month. Sometimes we seem to get stuck at a dose. For example, I have a patient on a 2mg tab, which can be cut in half but is too small to reliably cut into fourths. He’s been trying to drop to 1mg but can’t tolerate staying at that dose for more than a day or two. So at his last visit, we decided he would alternate 1mg per day with 2mg per day. He did better with that, and now we are trying two days of 1mg and one day of 2mg, in a cycle every three days. Then today, in my latest issue of American Journal on Addictions, there’s an article that throws a monkey wrench into my ideas around tapering. This article has case reports of four patients who stopped Suboxone suddenly, unplanned. They were on doses ranging from 12mg per day to 30mg per day, and all four had only one or two days of mild opioid withdrawal, then felt fine. The author concluded that these patients, “Showed no objective signs of opiate withdrawal following abrupt discontinuation of chronic buprenorphine/naloxone treatment…” The authors postulated that a prolonged taper might actually be harder on patients than stopping suddenly at a higher dose, based on these four case studies and other doctors’ impressions. Three of the four patients returned to buprenorphine/naloxone treatment when they had the opportunity, for fears of relapse, and the fourth was felt not to be appropriate for continued treatment with buprenorphine. Could this be true? Might it be easier for patients to stop at a higher dose, rather than taper to a lower dose? Intuitively, a taper seems to be the best way to avoid withdrawal symptoms, but what if buprenorphine is different? It is an unusual drug. It’s a partial opioid agonist at the mu receptors, but it also has action on other opioid receptors. Might the action at other types of receptors be responsible for what was seen in those case studies? What about the monoproduct, Subutex? The article’s authors conclude by recommending further studies comparing intensity of opioid withdrawal in patients undergoing rapid taper or sudden discontinuation versus patients undergoing a slower 28-day taper. I’m so intrigued by these case reports that I’d love to see a large randomized trial to answer these questions. I have seen a few patients stop taking medication suddenly at higher doses and they said they didn’t have bad withdrawals…but then I have had many others who stopped suddenly and had terrible withdrawals. Patients on Suboxone or Subutex, what do you think? Westermeyer, Joseph MD, et. al. “Course and Treatment of Buprenorphine/naloxone Withdrawal: An Analysis of Case Reports,” American Journal on Addictions, 2012, Vol. 21 (5) pp. 401-403. In the past, I’ve blogged about how some of my patients were having problems with their Suboxone films. 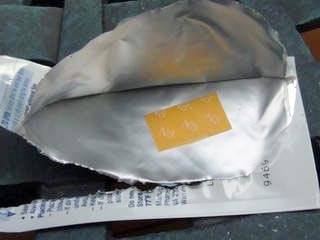 When they opened the foil packets, the films were broken into pieces or so fragile they broke when handled. But now over the last two or three months, my patients tell me the films are no longer breaking or fragile, making them easier to use. I’m glad. The Reckitt Benckiser drug company, manufacturer of Suboxone, wants doctors to switch patients to film because it dissolves faster, is easier to use, is less dangerous to children because the package is so hard to open, and it’s less likely to be snorted. They also say it’s harder to divert and has less value on the black market. And they say tablets are more likely to trigger patients who were addicted to tablets. There’s validity to much of that, but I believe the biggest reason they want patients to switch is because their patent on the film runs for at least seven more years. Call me cynical. About half of my patients who tried the film didn’t like it. Nearly all were patients in good recovery, stable for months to years, and if they wanted to tablets rather than the film, I was OK with that. When the film became crumbly, a few more patients wanted to switch back to the tablets. Now, I’m more enthusiastic about the films. I can prescribe the film with more confidence since they no longer crumble. I prefer to use the films for patients tapering off Suboxone. I know the drug company says the films (and tablets) shouldn’t be cut, but of course everyone has been cutting both. With sharp scissors, the films can be cut into equal and small portions, ideal for a gradual taper of the dose. I have more success with tapers in patients taking the film. In my next blog, I’ll talk about some of the “recipes” for taper my patients and I have used. New Health Care Laws: How Will They Affect Office-based Treatment with Suboxone? Last week, one of my office-based buprenorphine patients asked me how I thought the new healthcare laws would affect my business. I’ve considered this question with a mix of anxiety and hope. Until we have more details, I’m not certain I’ll like the new changes. And of course since I’m a healthcare provider, I’ll look at changes differently than if I were an insurance executive. I told my patient that it will be excellent for my patients in buprenorphine (Suboxone, Subutex) treatment who don’t have insurance now, and are paying out of pocket. My patient then remarked that I’ll be much busier, because more pain pill addicts will be able to afford treatment. I explained to him about the newness of the DATA 2000 Act, and that some lawmakers were skittish about this program from the beginning. They were worried Suboxone “mills” would open, where hundreds of addicts were treated with little physician oversight or precautions. Lifting that limit would be the easiest way to get more opioid addicts into treatment. My private practice, where I treat opioid addicts with buprenorphine (Suboxone, Subutex), is a bare bones operation. Because of the one hundred patient limit, I have enough patients to keep me busy for one day per week. On the other days, I work at opioid treatment programs. I enjoy my own office practice because of the autonomy, and because I have some great patients that I’ve known for years. But at my own office, I make far less than half what I make at the opioid treatment programs. I have the usual fixed overhead of rent, utilities, answering service, internet, etc., and most of the money I take in goes towards that. I have a part-time health care coordinator, who makes appointments for patients, calls them to remind them of appointments, does most of my office drug screens, screens my after-hours calls, handles the filing, copying and other record-keeping tasks, and deals with those pesky pre-authorization requests that insurance companies make. (She and the counselor have decided I ought not to be allowed to talk with the insurance companies, since I often erupt into profanity).Then I have the best LCAS (Licensed Clinical Addiction Specialist) counselor in the world who works with me on Fridays, doing individual counseling (he’s my fiancé). Since I don’t file insurance, but rather give the patient a receipt so they can file it themselves, I avoid that personnel expense. And I don’t accept Medicaid or Medicare as payment for treatment. I feel guilty for admitting that, but I don’t think I could stay in practice if I accepted what these government programs pay for treatment. When I first opened my own office in 2010, I saw a handful of these patients for free, since trying to file and going through the necessary red tape isn’t worth the pittance these programs pay for an office visit. So if my uninsured patients get Medicaid, I’ll have to decide how to deal with that problem. It’s not legal for me to ask patients with Medicaid and/or Medicare to pay for treatment out of their pocket unless I opt out of those programs completely for a period of years. I can’t do that because some of the other treatment facilities that I work for do bill Medicaid. So do I start taking Medicaid, with all its headaches, red tape and low re-imbursement? I don’t know. I don’t like the thought of it, but it will perhaps become a necessity. It will depend on reimbursement rates. Plus, I’ll be paid even less since I don’t have electronic medical records. Government programs have decreed that doctors without meaningful use electronic medical records will receive less money for Medicaid/Medicare patients than doctors with these programs. Since I was trained and still am board-certified as an Internal Medicine doctor, I could fill my other days with primary care patients. I was talking to another doctor who was starting her own Suboxone practice, and she was wondering how to get by financially, only practicing Addiction Medicine. She too is a former Internal Medicine doctor. I suggested she could always do some primary care. “Just shoot me in the head,” she said, summarizing my feeling exactly. 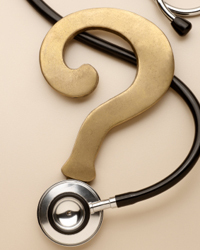 I’ve never liked primary care as much as addiction medicine, to put it mildly. Addicts are easier to deal with, and are often nicer people than the average soccer mom, demanding an antibiotic to treat her viral upper respiratory infection. But my biggest reason for preferring addiction medicine is that addicts get better. I never saw the big changes in health when I worked in primary care, like I do in people treated for addiction. Primary care feels like a step backwards. I don’t want to go back to treating non-compliant diabetics, and overweight people who won’t exercise. I’d prefer to keep my present patients, in whom I see an intense desire to get well. I’m addicted to seeing the big changes that I see when I work in addiction medicine. I hope the new changes in healthcare will allow me to stay in the business of helping people change. Like the rest of the U.S., I’ll have to wait and see. I’ve compiled some of my favorite web sites which deal with the medication-assisted treatment of opioid addiction. There are so many pitiful, ignorant sites on the web, it’s great to go to one of these for some sanity. This is just what the address suggests: a support site for people being treated with methadone for either addiction or pain. This site has message boards and discussion forums as well as good information for patients and their families. There’s information on pregnancy and methadone, with links to recent studies. There are several advocacy links. One describes current legislative challenges to treatment with methadone. The forums have some interesting topics. For example, there was a thread with methadone clinic patients writing in to say what they would do if they saw a drug deal at their clinic. Would they notify clinic administrators or ignore it? The answers were interesting. You can get information about Methadone Anonymous, and locations of current meetings. You can also enter a methadone anonymous chat room each evening between 8 to 9 EST, but you do need to register on the site to participate in meetings and to post on other sections. This site it a little busy and some of it hasn’t been updated recently, but overall it’s a great site for support and information. This is the website I give people when they’re trying to find a doctor who prescribes Suboxone. This is the most up-to-date list of Suboxone doctors, but it’s not 100% correct. Sadly, there are some doctors who don’t update their information at this site when they are no longer able to take patients. But besides the names, addresses and phone numbers of Suboxone doctors,, there’s some reliable information on this site about buprenorphine. This may be a site you pull up for a friend or family member who has misgivings about medication-assisted treatments of opioid addiction. This is the best all-purpose site for information about methadone, information about opioid treatment centers, locations of treatment centers, and answers to FAQs about methadone. It also provides a link to a great blog: mine. I’m proud they carry my blog entries on their site. OK so maybe I’m a little biased, but check it out. It’s an extremely well-maintained site, and kept up to date with interesting and new information. This is a blog written by Dr. Junig, a physician who is obviously well versed in opioid addiction and its treatment with Suboxone. And it’s much more. He gives a link to his Ebook “User’s Guide to Suboxone.” I haven’t read it, but he says it contains information about situations that commonly arise during treatment with Suboxone, like acute pain management, surgery while on Suboxone, pregnancy on buprenorphine, and other problems. His blog has been around for many years, and I believe Dr. Junig is one of the first doctors to publically advocate for medication-assisted treatment for opioid addiction, and I admire this. If you’re interested in the disease of addiction and recovery from it, you’ve got to go to this website. It’s the government’s publication site, where many pamphlets, booklets, and bulletins are free. Even postage is paid, so go browse at the site. It’s arranged so you can search by topic, by audience (patient, family, health professional, etc. ), or by drug. There are even DVDs which are available for a small charge. This is the website for the National Center on Addiction and Substance Abuse at Columbia University. There’s great information here, though it’s not specific to medication-assisted treatments with buprenorphine and methadone. This site is packed with information about drug addiction, its treatment, and its costs to society. You can download CASA’s famous white papers about the following topics: “Adolescent Substance Use: America’s #1 Public Health Problem” or “National Survey of American Attitudes on Substance Abuse XV” or “Behind Bars II: Substance Abuse and America’s Prison Population.” These are excellent sources of information, much of it downloadable for free. My personal favorite is “You’ve Got Drugs,” about the ease of obtaining controlled substances over the internet. CASA funds research of treatments for addiction, and also makes recommendations to policymakers in the country. They also provide information and help exchange of ideas between the government agencies, criminal justice system, service providers and education systems. This invaluable website is National Institute on Drug Abuse (NIDA) summary of all the research studies about methadone, upon which our present treatment recommendations are based. If you need to know any facts about methadone treatment, you can probably get them here, along with references to support the information. If you are in medication-assisted treatment with methadone, you need to go to this site. You can download the whole of the Methadone Research Web Guide, and can take it to anyone who is pressuring you to “get off that stuff” to show them the science behind treatment with methadone. If you travel out of the U.S., go to this website to see what other countries allow regarding buprenorphine or methadone. For example, the website tells travelers to Russia: “Methadone or buprenorphine must not be brought into Russia.” Using medication-assisted treatment with these two opioids isn’t legal in that country, and clearly it’s risky to travel with your prescription medication. The site does go on to say that if you must, travel with a letter from your doctor, translated into Russian. I’ve referred to this site several times, looking to see what’s required for a patient who traveling out of the U.S. It’s an interesting site to peruse, to see how different countries are. There are tips about necessary phrasing for the doctor’s letter that’s usually required. Readers, do you have suggestions for other great sites about medication-assisted treatment of opioid addiction?